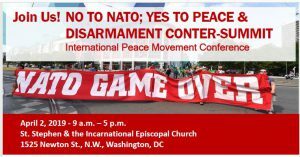 No to the Military Alliance; Yes to Peace and Disarmament! Every month this year, the Canadian Voice of Women for Peace (VOW) will be holding a peace vigil outside the NATO Association of Canada headquarters in downtown Toronto corner of Harbour St and Bay St.
NATO members are the world’s largest weapons manufacturers and arms companies like Lockheed Martin and General Dynamics fund the NATO Association of Canada. NATO puts intense pressure on Canada every year to increase military spending, which diverts public funding away from urgent social and environmental needs. NATO relies on a dangerous nuclear arsenal and refuses to disarm. VOW is calling for the Canadian government to withdraw from NATO and work through the United Nations on disarmament and the Sustainable Development Goals that will bring genuine human security. 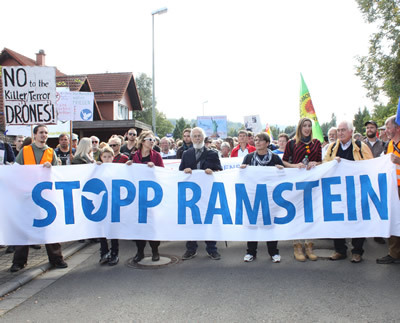 No to NATO; yes to peace, nonviolence and sustainability!